from China last year — an increase of more than 900%. This entry was posted in Uncategorized on January 30, 2014 by NYC Office Space. 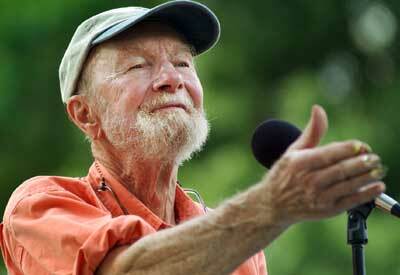 We mark with sadness the passing of Pete Seeger. As an activist he had a significant impact on New York and the Hudson River. His music has affected generations. His presence will be missed by many. This entry was posted in Uncategorized on January 28, 2014 by NYC Office Space. As you look around New York City there is a lot of evidence that the development environment is shaping up to be robust. Residential development will lead the way, One57 towers over midtown, 432 Park Avenue will be under way, a residential pyramid is going up on West 57thStreet, ground was broken at 855 Sixth Avenue and a development will begin at 605 West 42ndStreet. The demand for housing is driving all this. Commercial properties will follow. This entry was posted in Uncategorized on January 27, 2014 by NYC Office Space. 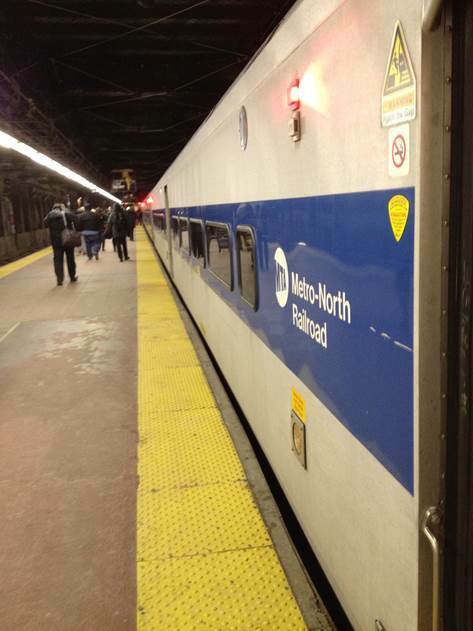 Thursday night Metro-North suffered a power failure at their control center at Grand Central Terminal, cutting service to the Hudson, Harlem and New Haven Lines for two hours. Many commuters sat on trains between stations, while Grand Central Terminal was wall-to-wall people standing still. Hopefully MNRR will be able to prevent future outages like this as well as continuing to improve their overall service. I’m sure we all have our own commuting or travel horror stories. This entry was posted in Uncategorized on January 24, 2014 by NYC Office Space. Meaningless signs or do they promote civility? 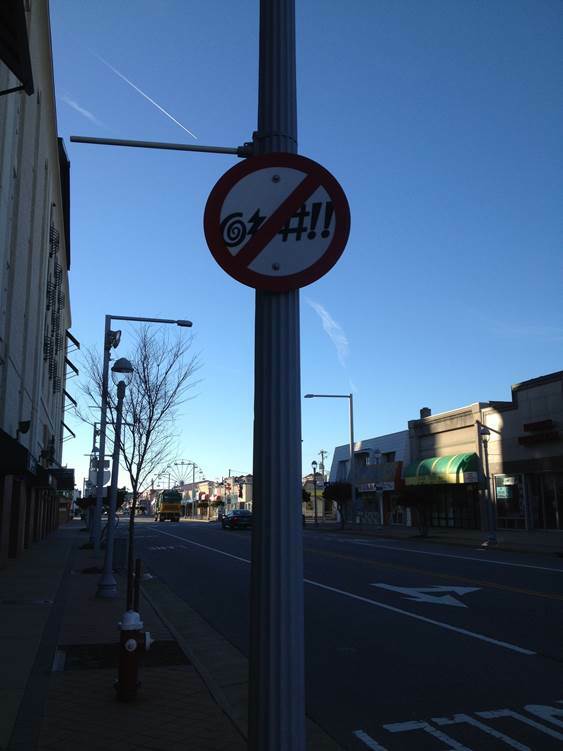 If you have ever visited Virginia Beach you may have noticed the “no swearing” signs. These are posted to remind visitors to be civil, but are they taken seriously? Imagine these posted in NYC. This entry was posted in Uncategorized on January 23, 2014 by NYC Office Space. 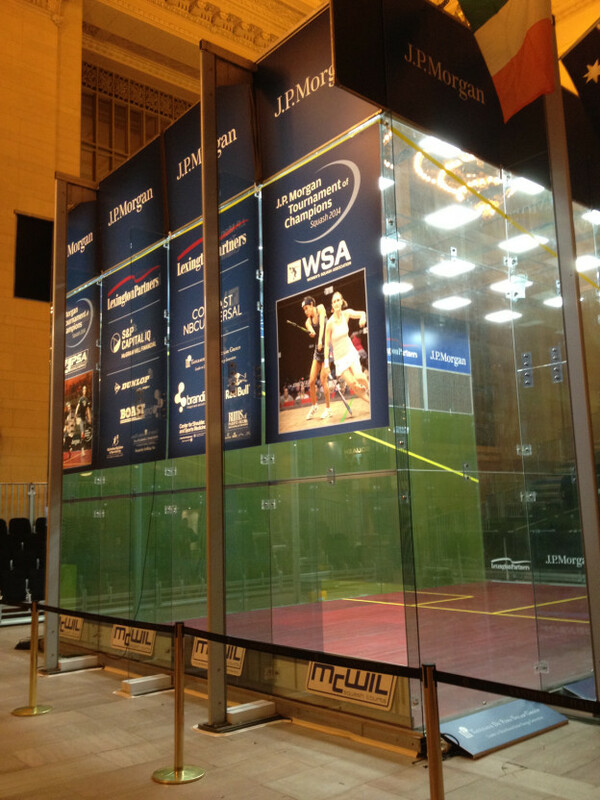 The J.P. Morgan Tournament of Champions, the world’s largest squash spectator event, is the only sports championship hosted annually in Grand Central Terminal. A temporary glass walled court is constructed in Vanderbilt hall for the event which will be held from January 17th to the 24th. This entry was posted in Uncategorized on January 22, 2014 by NYC Office Space. The Frick Museum has an exhibit of Dutch Masters that closes after January 19, so this is the last weekend to see some fine paintings on loan to the Frick. Admission is free this Friday from6:00 PM to 9:00 PM. 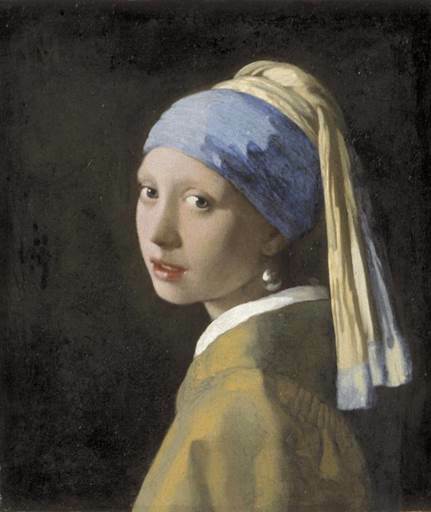 One of the most famous paintings on display is Vermeer’s Girl with a Pearl Earring. This entry was posted in Manhattan Office Space, New York Office Space, NY Office Space, NYC Office Lease, NYC Office Space, NYC Office Sublet, Office Space for Rent Manhattan, Office Space for Rent New York City, Office Space for Rent NY, Office Space for Rent NYC on January 16, 2014 by NYC Office Space. Bitcoin future currency for real estate? Bond New York has begun accepting Bitcoin, the online currency, as payment for real estate transactions. Bond is offering this as an additional service to its customers to make real estate transactions as convenient as possible. This entry was posted in Manhattan Office Space, New York Office Space, NY Office Space, NYC Office Lease, NYC Office Space, NYC Office Sublet, Office Space for Rent Manhattan and tagged bitcoin, NYC Office Chronicle, Wharton Property Advisors on January 15, 2014 by NYC Office Space. Newsletter of Wharton Property Advisors, Inc.
Hopefully everyone took precautions with the recent waves of frigid weather engulfing New York City. While the weather has been cold, the real estate market has been hot. Just as you have to prepare for the weather, you need to be prepared to face the buffeting of the office market in NYC. Wharton Property Advisors continuously monitors the market so we are ready to help our clients. Is your lease coming due soon or have you outgrown your space? If so, then Wharton Property Advisors can help. We search NYC for the most advantageous office space situations and then help our clients negotiate favorable terms. Or, if you like your current space we can help renegotiate your lease. We always represent our clients with honesty, diligence and integrity. Below is a sampling of the best deals now available. Sublease from Mediabend Capital, Inc. Lease term through May 2016. Sublease from Terra Capital Partners. Five windowed offices, conference room, pantry. Totally turnkey, new space with furniture and phones included. Ideal for law firm, private equity or any office use. Lease term 1 to 3 years. Sublease from Auriga USA Inc. Newly built space, Seven windowed offices, 2 interior offices, open area for 37 trading desks, pantry. 12 tons of supplemental A/C with plenty of infrastructure for all technology needs. Unique penthouse breakout space. Furniture and phones available. Ideal for trading firms, technology firms, new media and hedge funds. Lease term through June 2016. Sublease from Global Advertising Strategies, Inc.
9 offices, conference room, open area, pantry, reception area. Lease term through December 2016. One office, open area with 7 workstations, large training room, 2 conference rooms, pantry, reception area. Ideal for financial services, media or creative firms. Furniture available. Lease term through April 2016. Sublease from Strivectin Operating Company, Inc. Lease term through March 2022. Sublease from Concept One Accessories. Twelve windowed offices, two interior offices, six workstations, conference room, pantry, IT/storage room, reception area. Furniture available. Lease term through May 2019. Sublease from Allied Properties Inc.
Three offices, conference room, open area, kitchen, reception area. Includes all furnishings, phone system, copier and security equipment. Lease term through October 2015. One office, conference room, open area for 14, pantry, reception area. Lease term through February 2017. Sublease from Investor Growth Capital, Inc.
22 private offices, 3 conference rooms, large boardroom, reception area. Lease term 2 to 8 years. Six glass enclosed offices, conference room, 2 large open bullpen areas, pantry. Perfect for hedge fund, trading or creative use. Lease term 5 to 10 years. Sublease from Dickstein Shapiro LLP. Fourteen windowed offices, 14 interior offices, 6 workstations, conference room, reception area. Lease term 3 to 11 years. Fourteen glass fronted offices, 17 workstations, boardroom, conference room, pantry, reception area. Large terrace with outdoor seating. Ideal for trading or hedge funds. Lease term through March 2015. Sublease from Kensai Asset Management. Four windowed offices, trading floor with space for 14 people, 2 conference rooms, pantry, reception area. Furniture and phones available. Sublease from Asahi Kasei America, Inc.
Large corner office, large open area with 20 workstations, 2 conference rooms, pantry, reception area. Furniture included, phones available. Lease term through December 2017. Sublease from H.C. Wainwright & Co,. LLC. Seven offices, conference room, pantry, reception area. 2 Terraces. Furniture available. Eleven windowed offices, 2 conference rooms, open bullpen with 10 positions, pantry, large IT room with supplemental A/C, reception area. Fully furnished. Sublease from Helios Advisors LLC. Seven windowed offices, large open area for 11 workstations, conference room, pantry, reception area. Furniture available. Lease term through October 2017.
for more details about these spaces and other opportunities. Wharton Property Advisors, Inc. helps NYC office tenants find and dispose of office space. We provide the full range of commercial real estate services. Finding and negotiating great deals is our specialty. Moreover, we represent our clients wit intelligence, honesty and diligence! This entry was posted in Manhattan Office Space, New York Office Space, NY Office Space, NYC Office Lease, NYC Office Space, NYC Office Sublet, Office Space for Rent Manhattan, Office Space for Rent New York City, Office Space for Rent NY, Office Space for Rent NYC on January 15, 2014 by NYC Office Space. 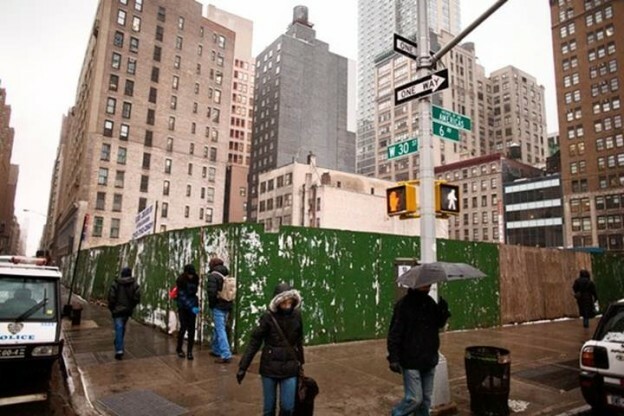 Barnes & Nobles has closed its store at 105 Fifth Avenue. 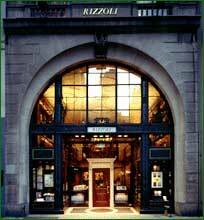 Now Rizzoli, which has been at 31 West 57th Street for 29 years will need to find a new home as plans are under way to demolish the building and two adjacent buildings for a new development. This entry was posted in Manhattan Office Space, New York Office Space, NY Office Space, NYC Office Lease, NYC Office Space, NYC Office Sublet, Office Space for Rent Manhattan, Office Space for Rent New York City, Office Space for Rent NY, Office Space for Rent NYC and tagged NYC Office Chronicle on January 15, 2014 by NYC Office Space.